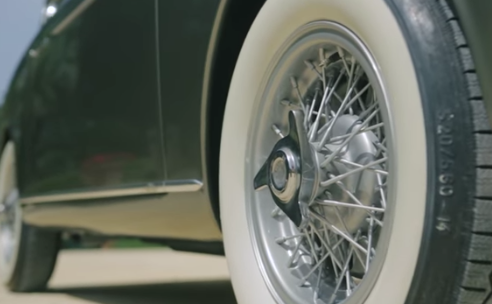 Only 12 were built, the body was built by Alfredo Vignale who usually only produced a set of 12 for each type. Designed by Giovanni Michelotti, who was one of the most important and prolific car designers in the world. Michelotti found his right-hand man in Vignale. Michelotti would design the cars and Vignale with his artistry would complete the body work. 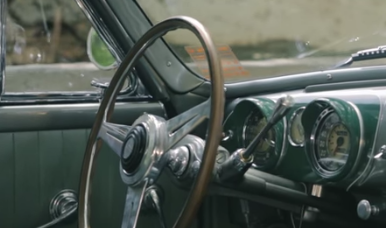 This car was built in 1953, one of the first of this type produced, it is really fun car to drive, but the singularity of this car is that it is essentially brand-new. It was found in Messina about 5 years ago. Perfectly preserved, the odometer read 6,012KM since 1953. 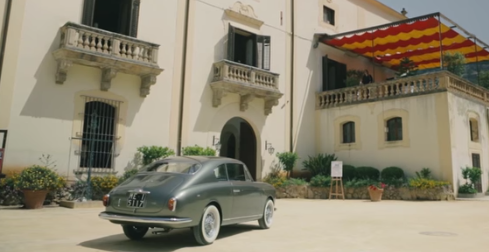 It was originally purchased by a wealthy lawyer in Messina, who picked the basic version and not the Turismo Veloce one because this version was more sober in body and accessories. So, since he was a discreet gentleman he picked this basic model but, when he ordered it he asked for some peculiarities, because he wanted this car's custom details not be visible from the outside. In fact, he asked for Borrani spoke-wheels, an Abarth aspirator system with dual carburetors and a special exhaust system. A Nardi exhaust pipe, and a Nardi oil cup and high performance starting coil, a Nardi wooden steering wheel, speed gage and a radio with electric antenna. All these accessories, at the time, denoted a higher category car than this.